Join us at Port Street for the Manchester launch of Duration Brewing‘s first solo brews. Duration (Norfolk) will be joining us as we launch Bet The Farm (4.5% Hoppy Continental Pale) and Turtles All The Way Down (5.5% American Pale). Bates and Miranda of Duration will be joining us at Port Street for the evening so feel free to speak to ’em about Duration and beyond! 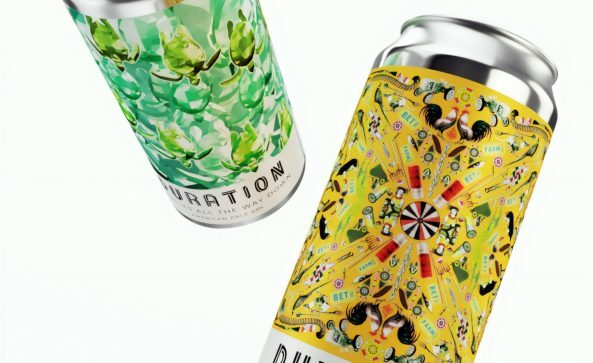 Duration is a destination farmhouse brewery being set up in Norfolk by Miranda and Bates. Bates was the former head brewer at Brew By Numbers. We will focus on fresh and sour beers with a strong Belgo-American in uence. A high-end German made brewhouse will give our pale ales and pilsners consistent quality. A traditional koelschip and foeders will form the barrel division for our farmhouse ales. Whether made to drink bright and in the moment or to evolve slowly over time, Duration will make beers that belong; reflecting our agricultural surroundings with a sense of time and place. Loyal to our soil, we respect our land and our community. We strive to always put back more than we take from our moment in time. These first releases from our Roots Range were brewed nomadically at Amundsen Bryggeri while our facility is being built at Abbey Farm – a complex historic site set amidst priory ruins. Norway fitted us well for two reasons; Amundsen has the same equipment we are installing, meaning minimal variation when we bring production in-house and, Norfolk has strong ties to Norway in its history and heritage. We’re excited to share these first two Roots Range beers with you. Brought over cold chained and cold stored for maximum freshness. Enjoy! 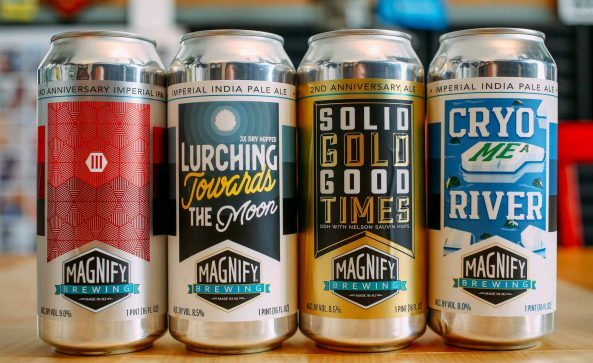 New Jersey’s Magnify make their debut appearance at Port Street Beer House with a bang. We’ll have many Magnify kegs pouring and cans in the fridges. Grand Illusion | 8% Coconut Vanilla Milkshake Imperial IPA brewed with oats and lactose and hopped with Citra, Mosaic and Motueka. We also added large quantities of both coconut and vanilla to this beer. Creamy, sweet, tropical. Based off of Lurching Towards the Moon and Lurching Towards the Sun. We dry hopped this beer 3 times with Waimea, Nelson Sauvin, Simcoe and Columbus. Double dry hopped with Citra, Amarillo, Simcoe and Centennial. This beer has the exact same amount of hops per barrel as our mid range DDH IPAs, but comes in a more crushable format. Sometimes we all have to be responsible but still want some DDH goodness. Thrill of the Chase | 8% Imperial IPA. We dry hopped this beer with Citra, Simcoe, Mandarina Bavaria and Cascade. We just got the first shipment from our first ever Nelson Sauvin hop contract. To celebrate we decided to take this year’s crop of Nelson for a test drive with this double dry hopped IPA. Brewed with massive amounts of Nelson and a touch of Simcoe and Calypso. Based on Maine Event IPA. Maine Event is brewed and dry hopped with Citra and Simcoe. We used the same recipe for Intergalactic Event, but swapped all the Simcoe in the whirlpool and first dry hop for Galaxy. We then dry hopped it a second time with another hefty dose of Galaxy. Search with Peach and Apricot | 5.5% oak fermented saison with brettanomyces and conditioned on peach and apricot. Collab with Barreled Souls. Brewed with lactose and conditioned on raspberries and vanilla. We dry hopped this beer with Nelson Sauvin and Mosaic. We first brewed Headaches during our first expansion for all those headaches that come with the territory. As we add personnel and more stainless in the next month to squeeze out a little more beer out of our humble little brewery, we figured this was a good time to re-brew this old favorite with the DDH treatment. This is a mash up between Infinite Verbiage and Peak Oil, two of our favorites. Mosaic, Topaz, Apollo hop oil in the whirlpool and dry hopped with Mosaic, Ella, Amarillo, Galaxy and Apollo hop oil. A seriously intense hop experience. Triple DH Imperial IPA brewed with El Dorado, Citra cryo and Topaz in the kettle and dry hopped with 3 layered additions of Nelson, Motueka, Waimea, Galaxy and Citra cryo. French Toast | This is a breakfast inspired DIPA, brewed with oats, maple syrup, lactose and cinnamon and dry hopped with Citra, Mosaic and El Dorado. The result is a complex unity of flavors that taste like your favorite weekend breakfast. COME THROUGH FOR THE REAL THING! 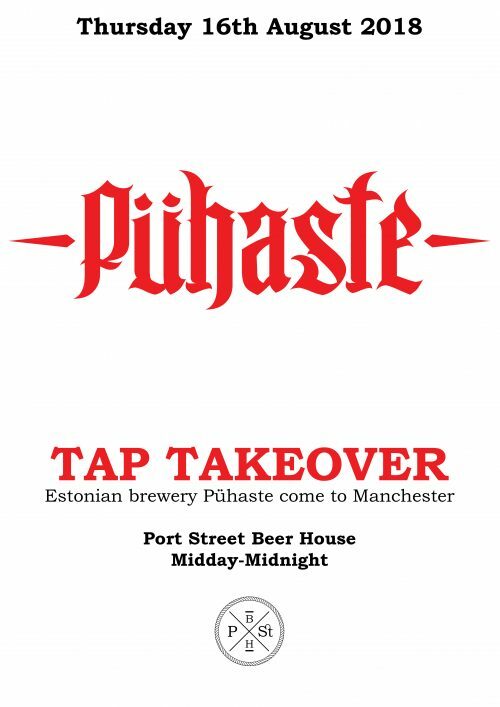 Estonian brewery Pühaste join us for the very first time at Port Street. 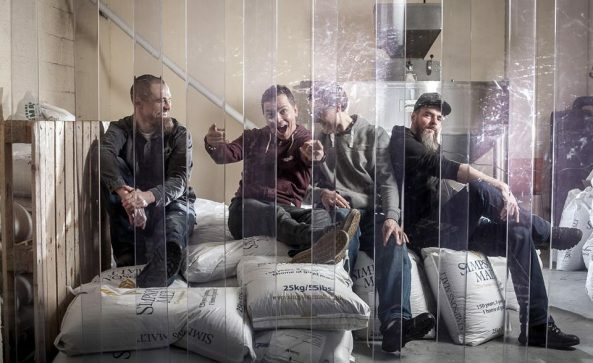 Originally having cuckoo brewed at their friends Põjhala from 2014, Pühaste opened up their own brewery in 2016 and have been making waves ever since. 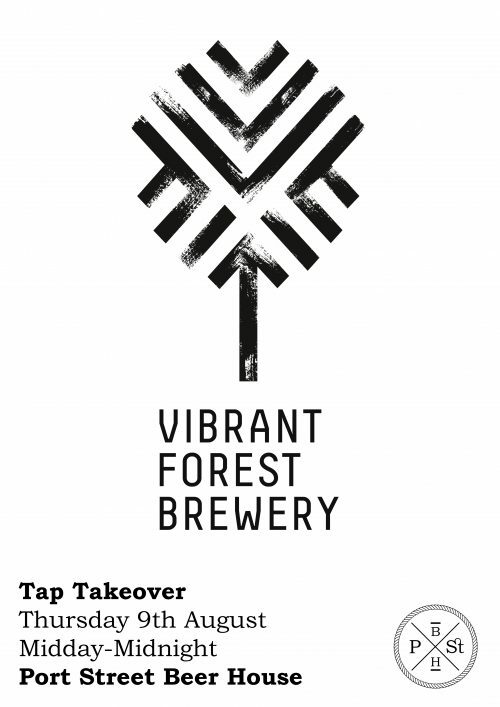 We are excited to welcome Vibrant Forest to Port Street for their tap takeover debut. Vibrant Forest are a small microbrewery nestled on the edge of the New Forest National Park, Lymington. Their passion is to brew beers full of exceptional flavour. Every style and every beer they create is designed to bring forth a grand adventure in flavour. Whether it be from cask, keg or bottle, they want their beers to excite the palate and stimulate the taste buds. I’ll drink to that! Vibrant Forest’s beers are unfined and vegan friendly.